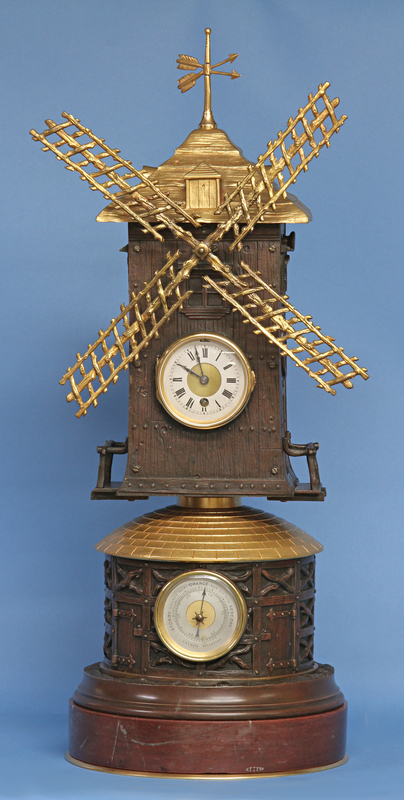 A late Victorian Animated French Windmill Clock with a barometer. 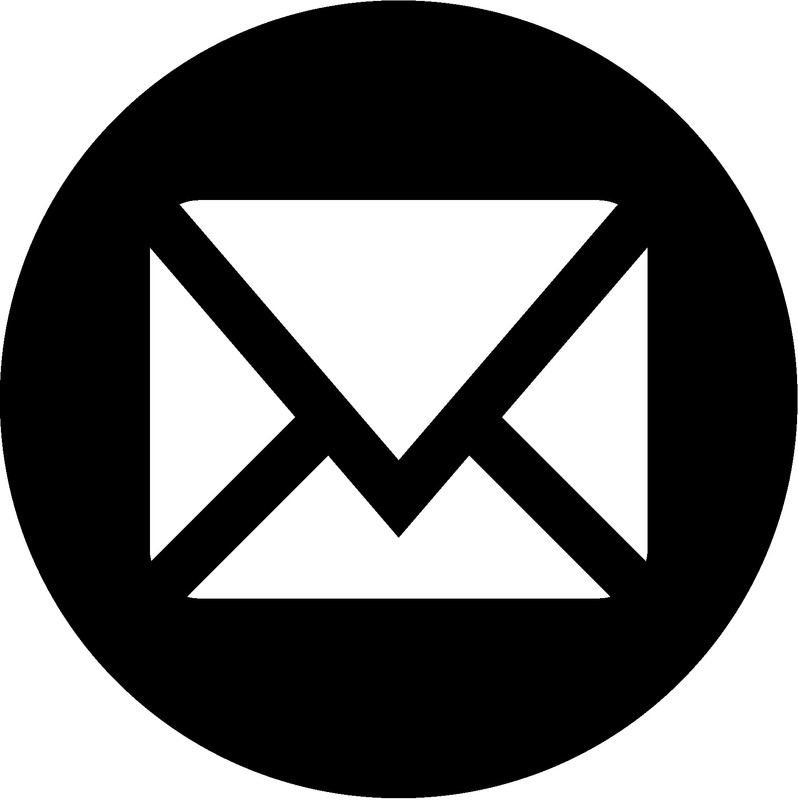 The vanes spin for approximately 1.5 hours on a single wind. 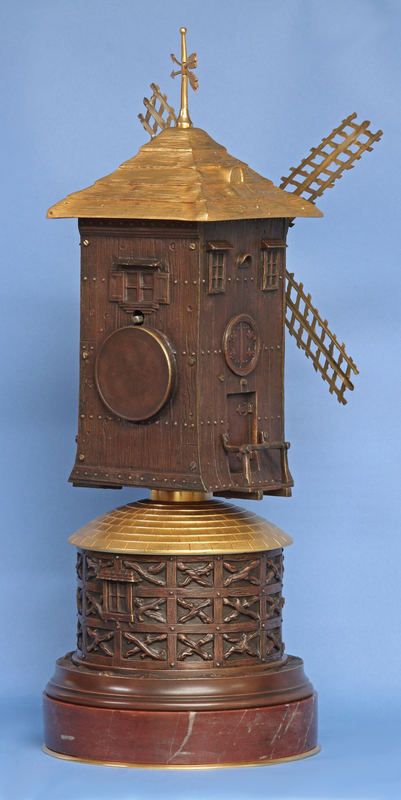 The patinated and gilt-bronze case depicts a rustic wood-framed French windmill with thatched and shingled roofs, four large rustic vanes, balconies to the sides, a weather vane above and a red variegated base. 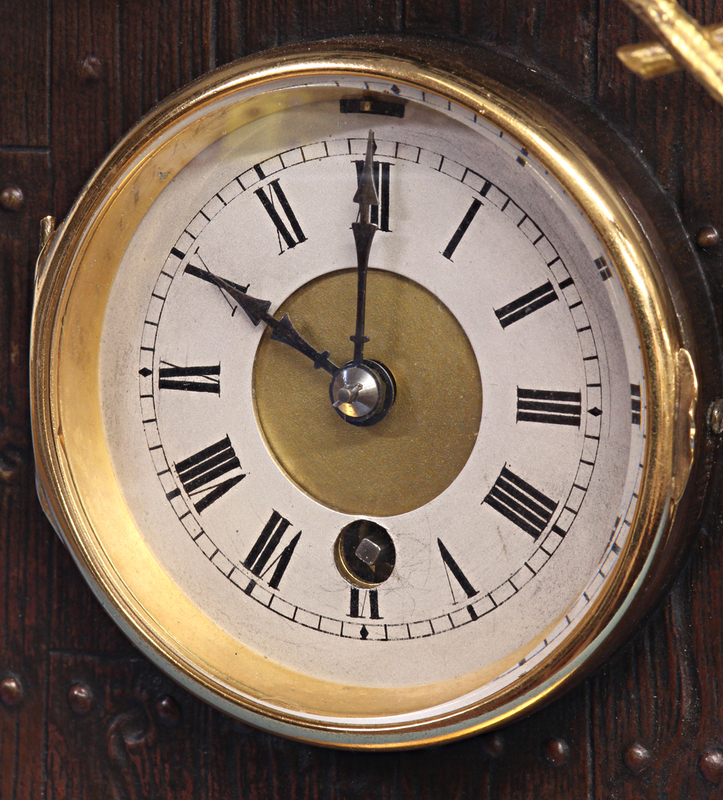 The clock dial has a silvered chapter ring with a gilt-bronze center, a gilt bezel with a beveled glass, steel-cut hands and black Roman numerals for the hours. 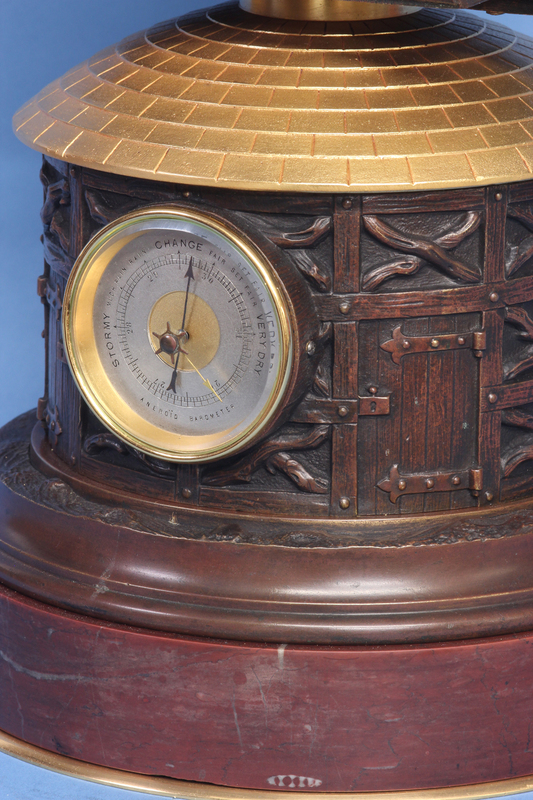 The barometer dial has an engraved silvered chapter ring with a gilt-bronze center, a gilt bezel with a beveled glass, has the two indicator hands and has the various indications in English. 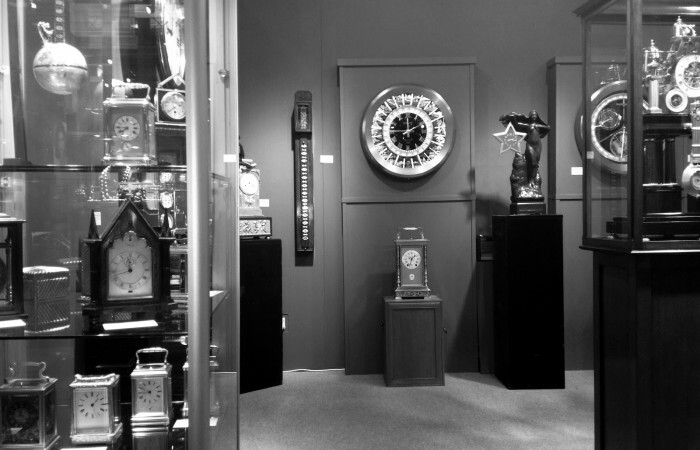 The eight day time only movement has a balance wheel escapement that is adjusted for fast/slow out the dial. 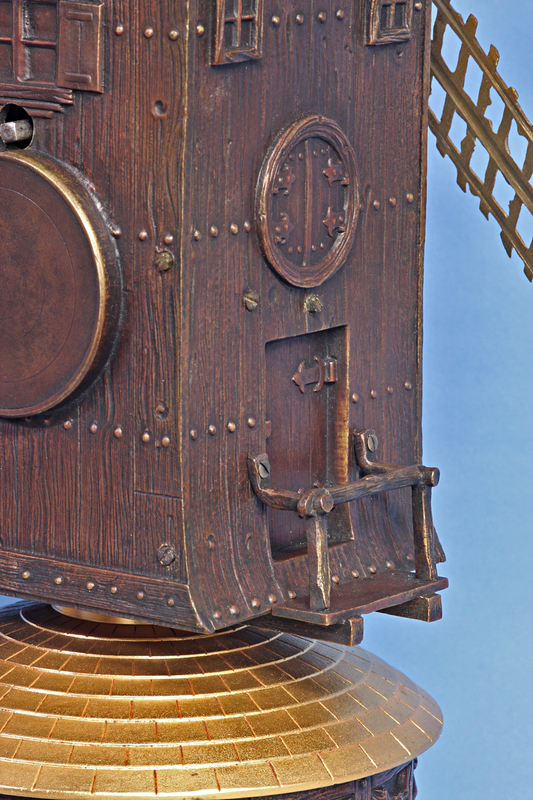 The animation movement has a start/stop out the side, is wound out the back and runs for approximately 1.5 hours on a single winding. For additional videos of this and some of our other pieces visit our You Tube channel at sundialfarm.